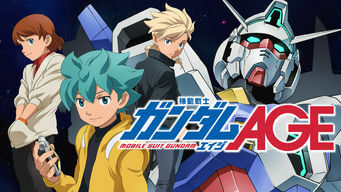 How to watch Mobile Suit Gundam AGE: Season 1 (2011) on Netflix USA! Sorry, Mobile Suit Gundam AGE: Season 1 is not available on American Netflix, but you can unlock it right now in the USA and start watching! With a few simple steps you can change your Netflix region to a country like Japan and start watching Japanese Netflix, which includes Mobile Suit Gundam AGE: Season 1. 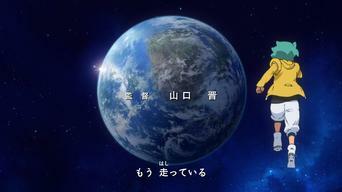 We'll keep checking Netflix USA for Mobile Suit Gundam AGE: Season 1, and this page will be updated with any changes. 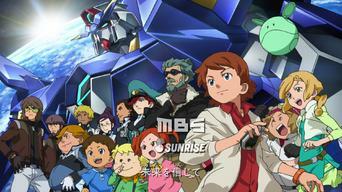 Mobile Suit Gundam AGE: Season 1 is not available in USA BUT it can be unlocked and viewed! 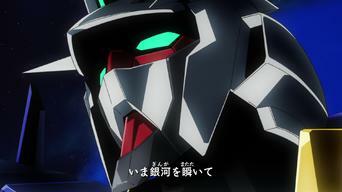 Spanning three generations and 100 years, one family's saga piloting Gundams begins when a fierce battle for mankind's survival unfolds in space. The space colonies of the Earth Federation are falling, their fate hinging on one boy and a super-weapon from the past. 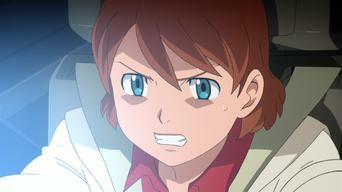 Season 1 of Mobile Suit Gundam AGE has 42 episodes. Because different Netflix countries have different availability for episodes, you'll need to check the episode listing below to see which are available in the USA. 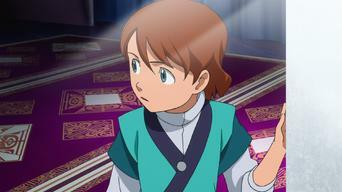 Flit becomes an orphan after an Unknown Enemy attack. 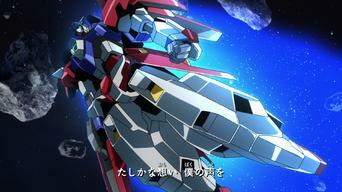 Using the AGE Device that his mother gave him, he builds the mobile suit savior known as Gundam. Bruzar directs the evacuation of the space colony Nora. 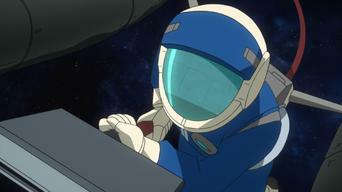 Flit enters a conflict with a UE when he goes out into space with a girl named Yurin. 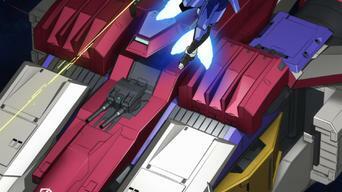 Flit encounters a new enemy mobile suit out in space. Grodek takes command of the Diva with a plan to save the inhabitants of Nora from destruction. The Diva heads for a new colony called Fardain. 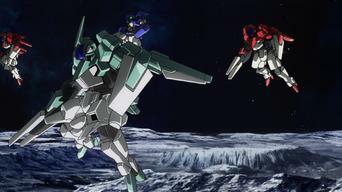 After waking up, Woolf challenges Flit to a mock battle over who gets to pilot the Gundam. 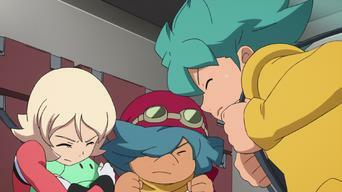 Flit expresses his desire to become stronger. After arriving in Fardain, he meets a mysterious boy named Desil and invites him to visit the Diva. Flit and Emily escape underground after the city suddenly turns into a war zone. The man who rescued them fills them in on the ongoing conflict. 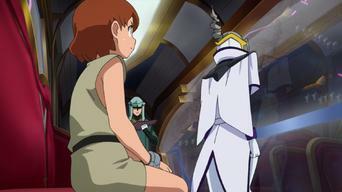 Flit gets captured by Zalam. As he protests the conflict between Zalam and Euba to their leader, Euba launches another attack. 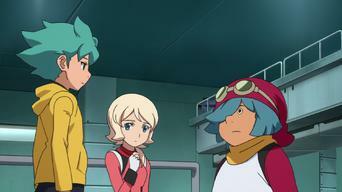 Flit rallies Zalam and Euba together as he faces the UE in his Gundam's new Titus form. A new white mobile suit descends upon the battlefield. 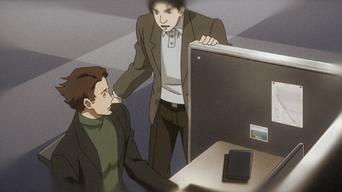 Flit questions Woolf about the origin of the G-Exes. When he visits the Madorna Workshop with his friends and Woolf, Flit makes a startling discovery. Zalam and Euba join forces to form a united front against the approaching enemy. Boyage enters the thick of the battle to encourage his fighters. The Diva crew arrives in Minsry. On his way to the Birmings estate to attend a meeting to discuss an assault on the UE, Flit reunites with Yurin. 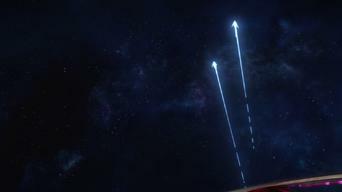 Guaravan's fleet intercepts the Diva as it tries to leave Minsry after completing the preparations for the assault on the UE fortress. The decisive battle against the space fortress Ambat has begun. 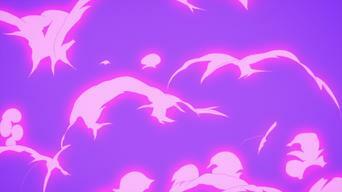 Fighting alongside allies, the Diva activates its new form against the UE swarm. 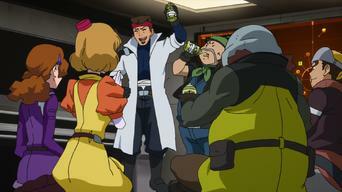 As the battle rages on, Flit recognizes one of the enemy pilots. 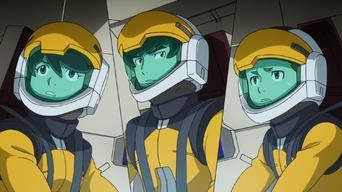 When he realizes who is inside yet another mobile suit, Flit spirals into confusion. 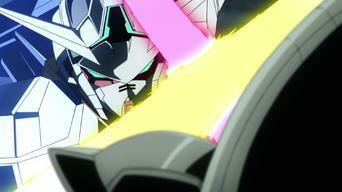 The enemy commander pilots a state-of-the-art mobile suit in a duel with Flit's Gundam. Flit hurls his hatred toward the UE as he drives his foe back. Twenty-five years have passed, yet the war still continues. 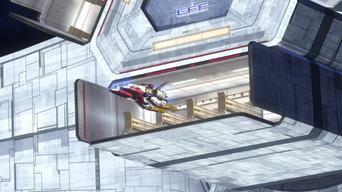 Flit's son Asemu activates his father's hidden Gundam when the Vagan attacks his colony. Zeheart joins the Mobile Suit Club, which is busy preparing for a contest. On the day of the tournament, the Vagan appears once again. An incident breaks out during Asemu's graduation ceremony. 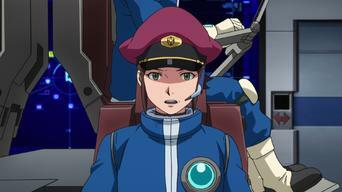 Asemu climbs into the cockpit of the Gundam again as the conflict worsens. Asemu joins the military. The Diva becomes embroiled in battle against the Vagan while heading to Big Ring. 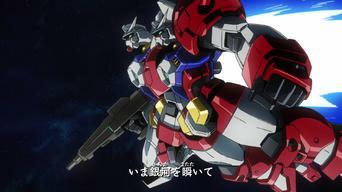 Asemu heads to battle in a new Gundam. The Diva takes a dangerous route in order to avoid another conflict with the Vagan. 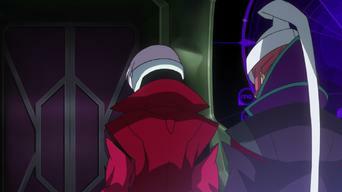 Zeheart approaches Asemu in a new red mobile suit. Asemu undergoes a special program to determine his piloting capabilities at Big Ring. After the test, Woolf takes Asemu to a certain location. The Vagan dispatches a team of X-Rounders known as the Magicians 8. 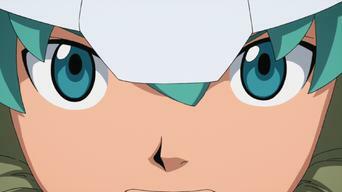 During the struggle, Flit demonstrates his tactical skills as a commander. 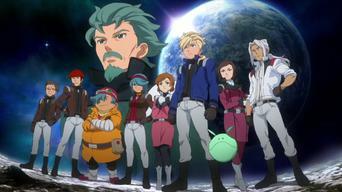 Flit directs a covert mission to Solon City. Asemu takes off from the Diva after trying in vain to protest his father's dangerous plan. Grodek informs Flit that there are traitors in the Earth Federation Forces. Asemu bumps into Zeheart while he is out and about. Out of a desire to become more powerful, Asemu uses a device that puts a heavy strain on its user's brain in order to gain X-Rounder-like abilities. The Vagan commence attacking Nortrum, the closest colony to Earth. 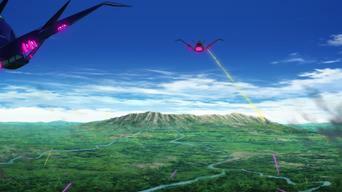 The Earth Federation Forces deploy their latest weapon: the Photon Ring Ray. Asemu and Zeheart engage in their final duel as the battle continues. Downes falls toward Earth after sustaining damage from the Federation Forces. Prime Minister Olfenoa delivers a speech in the Earth's capital. As Medel prepares to strike, Flit arrives on the stage with armed guards. The Vagan attacks the town where Asemu's 13-year-old son Kio lives. 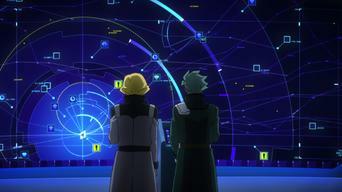 During this emergency, Kio and Flit attempt to activate the new Gundam AGE-3. Flit orders the Diva to be recommissioned. As the fighting continues, the Diva takes off with a ragtag crew of misfits on board. The Diva sustains damage above a desert from a Vagan unit known as the Phantom 3. To overcome the obstacle, the AGE System creates new equipment. A spy is discovered aboard the Diva on the way to Rostroulan. In the middle of battle, Kio follows the traitor and learns about the realities of war. 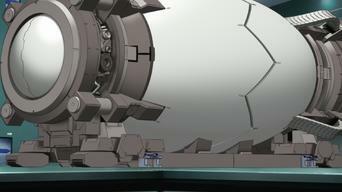 While the battle continues, Zeheart gets to work on his plan to blow up the base. The Diva's mobile suit unit fights to save the base from bombs. The Diva heads for the Luna Base on the surface of the Moon. In the Sargasso sector, notorious space pirates threaten to take the Diva by force. A message capsule left behind by Bisidian reveals the identity of the cursed treasure of war. The Vagan proceeds with a new plan. 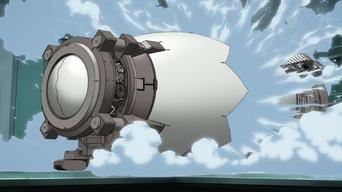 Flit heads out on the AGE-1 to rescue Kio from Zeheart and Zanald, whose objective is to capture the AGE-3. Kio meets Ezelcant after being taken to the Vagan base. The Vagan leader tries to show the bewildered boy the reality of his people. Kio's feelings start to waver after meeting a girl named Lu; he delivers her medicine and visits her frequently. 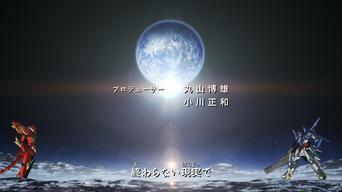 A man approaches Second Moon. 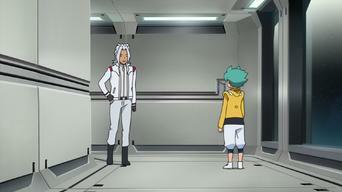 Ezelcant confronts Kio in the Gundam Legilis. 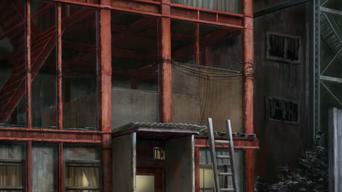 Revealing the truth behind Project Eden, Ezelcant tries to recapture Kio. 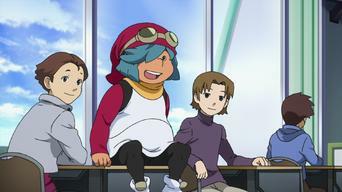 After reuniting with his friends and family, Kio pilots the new Gundam AGE-FX into battle to fight on his own terms. Fram enters the battlefield as the Earth Federation Forces attempt to retake Luna Base. Kio tries to persuade Fram to stop fighting. 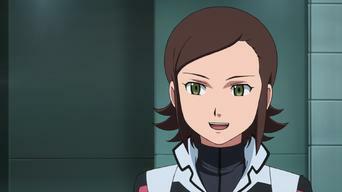 Girard, a former pilot of the Earth Federation Forces, joins the fierce battle. Kio realizes that Girard is familiar with both sides of the conflict.